Flexile web cover conforms to you when seated, flexes when soaking up energy from bumps, and remains pliable to continually absorb shock. Underside support structures embedded within an impact resistant frame manages compression, balancing flex with seated support in ways not possible with conventional saddle design. The incomparable Spyder Stratum is soft and stiff at all the right places..
Flex Level: MediumFlex limited to seating area; underside structural braces tuned for pedaling efficiency. Material: DualTech CarboniteA proprietary, dual-density impact resistant composite material. Construction: SOFT WHERE YOU WANT IT, STIFF WHERE YOU NEED IT. Flexile web cover conforms to you when seated and remains active to continually absorb shock. An open frame with underside structural braces controls the rate of compression to offer seated support and limit excessive sag. 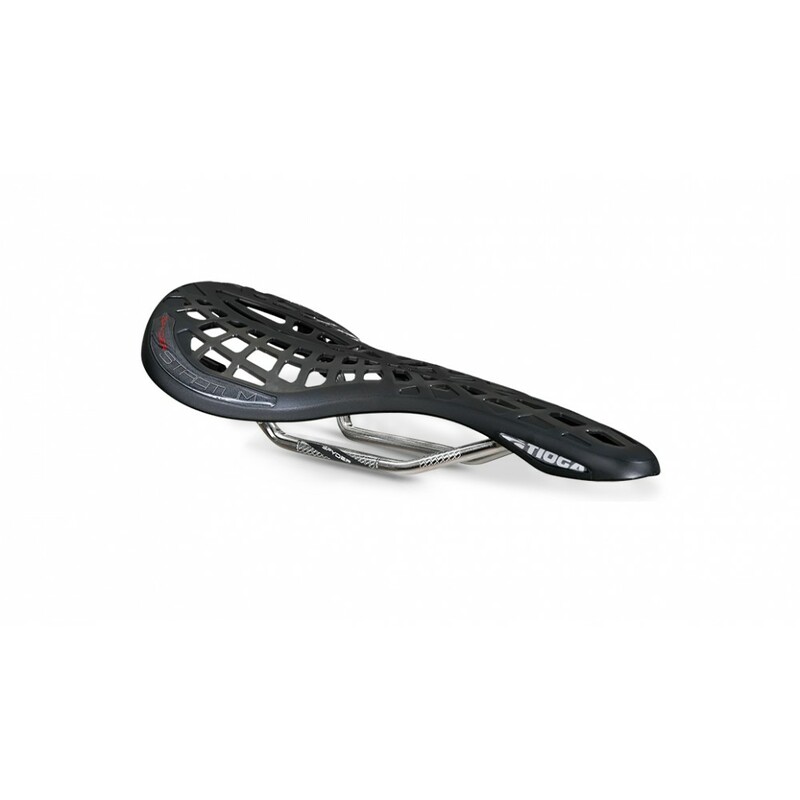 The two halves are seamlessly fused together to create a saddle that’s flexible and supportive. 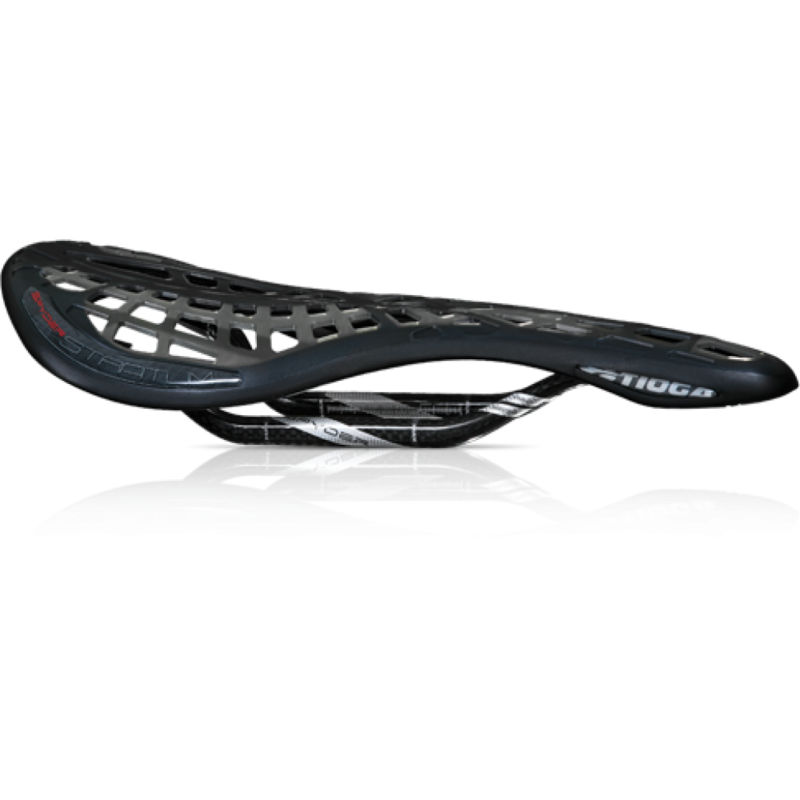 The Spyder Stratum meets all EN Safety Standards for saddles.